M ost o f the time we use to hear the news revel from NASA but most of the people may not know about it that who is NASA and what it does in the universe. People hear about NASA but they might not know what the full form of NASA is. Yes the full form of The NASA is National Aeronautics and Space Administration. 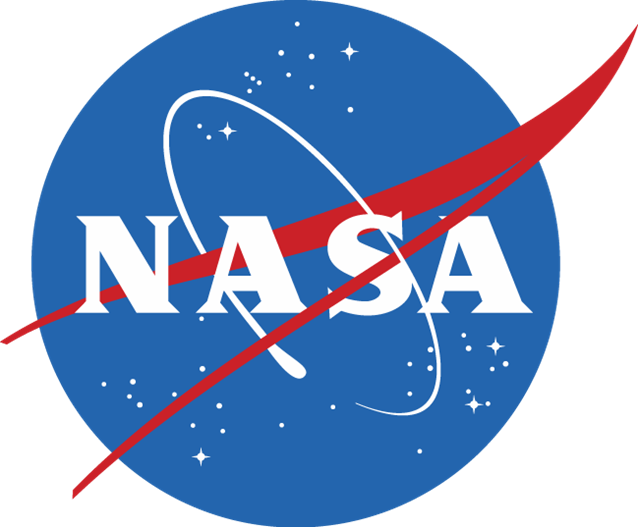 The NASA is the executive branch agency of United States of America (USA) government which was established or introduced by National Aeronautics & Space Act on 29th of July in 1958 by replacing the predecessor, NACA (National Advisory Committee for Aeronautics). The NASA is responsible for nation’s civilian space program & aeronautics and space research. This agency started to became operational in the year 1958 October 1st. since that the NASA is leading the US space exploration effort; such as Apollo Moon landing missions, Skylab space station, the Space Shuttle. Previously NASA was working independently but now it is also supporting the International Space Station too & is also developing the manned Multi purpose Crew vehicle. NASA is also responsible for launching the service Program or LSP (Launch Service Program) which provide the oversight of launch operation & countdown management for the unmanned NASA launches too. NASA is a science based agency which is focused on better understanding the Earth from Earth Observing System, advancing the heliophysics through the efforts of Science Mission Directorate’s Heliophysics Research program. NASA is also working for exploring the bodies throughout Solar System with the advance robotic missions like New Horizons, also working for researching the astrophysics topic for example Big Bang with the help of biggest observatories & the associated programs. The agency also use to share different data such as greenhouse gases observing satellite in nationally internationally and. 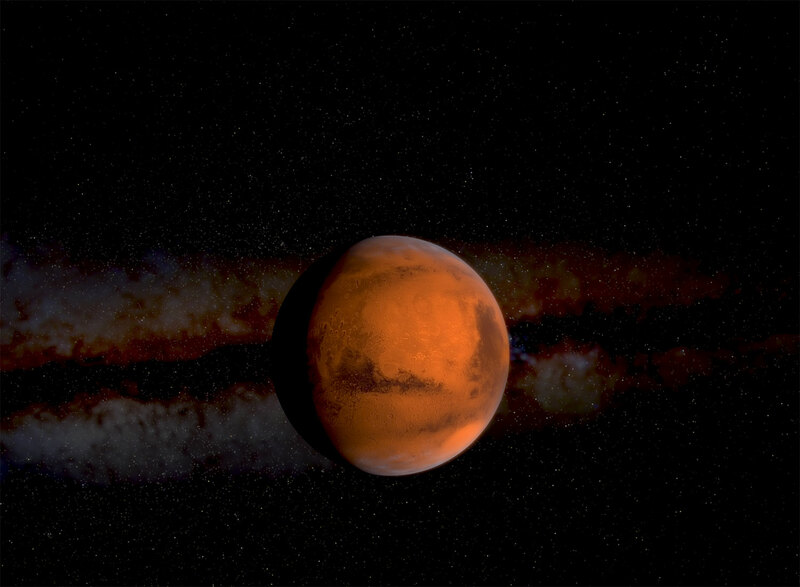 Mars planet is Red Planet: Why? As I have already mention about the different characteristics and introductions of mars planet. But now lets talk about why the mars planet is red planet? As I have already mentioned that Mars planet is fourth planet while looking the order of our solar system which comes after the planets Mercury, Venus and Earth. Since the planet is discovered in the Universe all scientist and experts are giving much more keen interest about the physical characteristic, compositions and the structures of the planet. For the research scientist also have sent voyagers and they have been success to provide numbers of facts and information such as different pictures, soil character etc. but still people on the earth are thinking why the Mars Planet is a red planet? This is one of the great question for the people on the earth. So lets read about it. Mars planet is also visible from the earth with our naked eyes but it appears as red in sky. Why it is so? This would be one of the great question to most of the people. The main reason to say Mercury planet as Red Planet is due to the presence of iron oxide on it & the iron oxide is commonly referred as rust. As you also might have seen how rust looks like. Yes it looks like red orange. Due to presence of lots of iron oxide on the planet the appearance of the planet is red-orange which is also visible from the earth. Only the planet Venus and the sun & moon are brighter than this planet which has magnitude of 2.9. If we talk about the general physical characteristics of Mars planet than it measures only half of radius of our earth and also have lower density as compared to Earth. Beside from iron oxide the soil of the Mars Planet have other elements like chloride, magnesium and potassium. Due to the low atmospheric pressure there is the possibility of having liquid water present on it. Generally the Mars planet consist of 1.6% of argon, 3% of nitrogen and 95% of carbon dioxide. Little traces of water & oxygen have found on the planet. Methane is present in the atmosphere. The scientist have found the number of impact of the comets as well as the volcanic activities on the Mars planet. There are also such thing as the serpentinization in the mars planet which is non biological process. It involves the key elements like carbon dioxide, olivine and water. It is estimated that the distance between the Mars planet and the sun is nearly about 230 million kilometers. Most interesting fact about the planet is it’s orbital period which is set at 687 days. As earth has changing seasons similarly the Mars planet also have changing seasons called aphelion and perihelion. 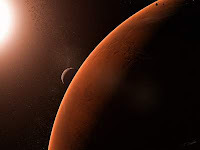 Ans: Mars Planet is called Red Planet because it has iron oxide which make it to view as red. 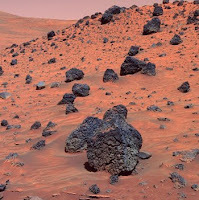 OR Due to the presence of Iron oxide in the soil of Mars Planet is looks Red. 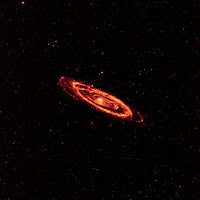 Into the universe there lots of galaxies are present, nearest galaxy present in the universe from us is Andromeda Galaxy. Milky Way galaxy is our galaxy where the entire solar system is present. For the Milky Way galaxy we sometime also call it as home galaxy of solar system and our earth. With the help of study made till now it is proved and agreed that the Milky Way galaxy is barred spiral galaxy and also assumed that the galaxy contain 100 to 400 billion of stars together with assume that it contains at least 50 billion planets. Out of this 50 billion around 500 million could be located in habitable zones of parent stars. According to the latest and new suggestion it is said that there may be up to twice as many free floating planets in the our galaxy i.e Milky Way galaxy. If we see the position of our solar system than it is present in halfway out from center; at the inner edge of Orion Cygnus Arm. Sun orbit around center of galaxy in a galactic year that is once in every 225 to 250 million Earth’s year. If we calculate the average size of the Milky Way galaxy than it is approximately about 100,000 light years (30 kiloparsec, 9x107) in diameter and have thickness of average about 1000 ly (0.3 kpc). 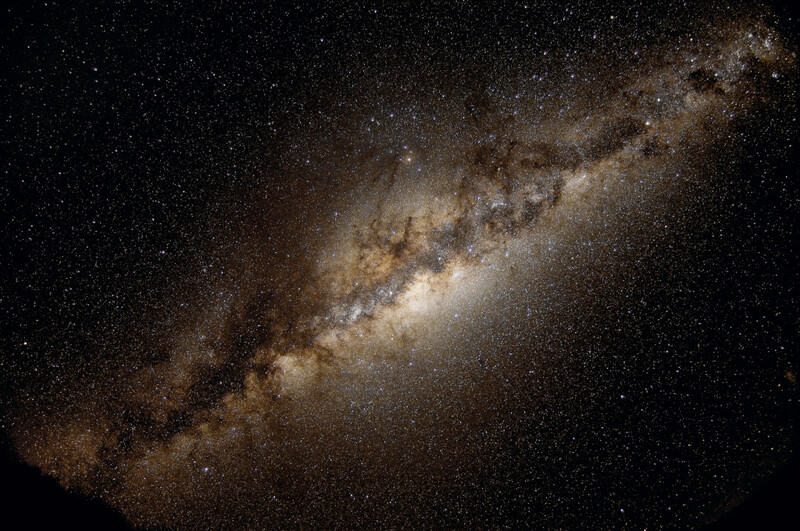 In Milky Way galaxy it is estimated that it contains at least 100 billions of stars and up to 400 billion stars. What are the stars that we use to seen in the sky at night time those stars are the part of Milky Way galaxy. But for the purpose of astronomical activities of observing celestial sphere Milky Way is limited to hazy band of the white light arching around whole night sky. Those Lights which is originated from some unresolved stars & some other heavenly material that lies within galactic plane. The galaxy Milky Way has relatively low surface brightness +4.5 to +5 apparent magnitude. This Galaxy is visible at the limiting magnitudes of +5.1 or higher. This means the visibility is highly affected by how bright night sky is due to the light pollution, light from moon. The Milky Way galaxy cannot be seen from urban or the suburban area due to the light pollutions but will be clear while seeing from rural areas. The size of universe is unlimited, till the 21st century the size of the universe is unknown and as the studies suggest our universe is expanding. In this large universe there are numbers of stars, planets, moons, asteroids and meteoroids and other heavenly bodies. There are billions and trillions of galaxy present in the universe and where our earth is a very tiny dot in it. Our earth lies in the Milky Way galaxy. In the milky way galaxy there are number of start planets and stars presents which it still uncountable to us. The nearest galaxy from the Milky Way galaxy is Andromeda Galaxy. Andromeda Galaxy is our neighbor. The Andromeda galaxy is also called a spiral galaxy which is nearly approximately about 2.5 million light years from the earth in constellation Andromeda. One light year mean time taken to travel for light in one year or 1 light year = 1 year. Similarly 2.5 million light year means if anything travels as the speed of light than it takes 2.5 million years to reach there which is impossible till now. Andromeda Galaxy is also called Messier 31, M31 or NGC 225 and which is also referred to Great Andromeda Nebula. As I have already mentioned that Andromeda is spiral galaxy to our Milky Way galaxy and is also nearest but it is not the closest galaxy overall. Name of the galaxy is named as the Andromeda because it lies in the Andromeda constellation and which is named after a mythological princess Andromeda. 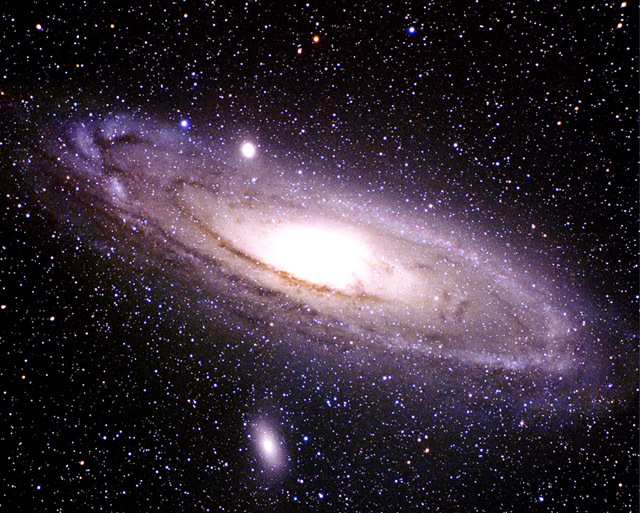 Andromeda is the largest galaxy in the universe which consist of Triangulum Galaxy and other 30 smaller galaxies. As the galaxy is largest but may not be most massive. 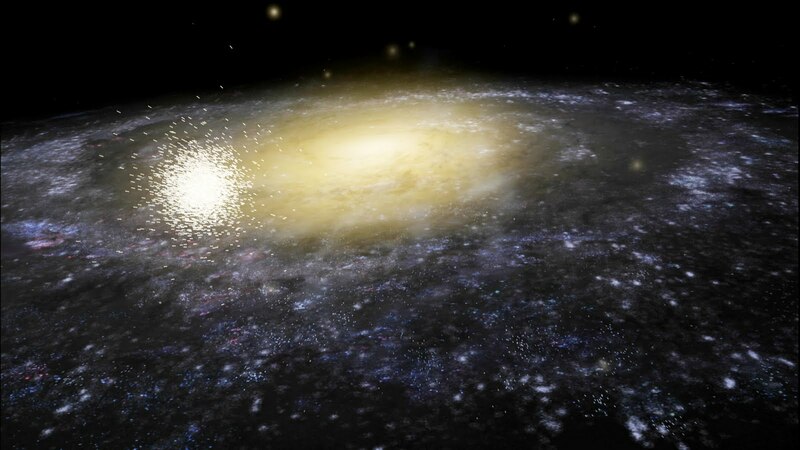 According to the recent study it is found that in Milky Way galaxy there are lots of dark matter and which may be the most massive in grouping. The observation made by the Spitzer Space Telescope in the year 2006 it is found that M31 possesses one trillion (1012 ) stars but in our galaxy it is estimated to be about 200 to 400 billion. 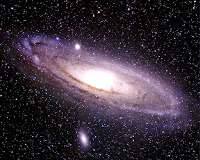 According to the study the masses of the Andromeda Galaxy is estimated to be about 7.1 x 1011 solar masses. It is also estimated that the two galaxies Milky Way galaxy and Andromeda Galaxy will get collide in 4.5 billion years. Andromeda Galaxy can be viewed by our naked eye on moonless night. Andromeda Galaxy is one of the brightest Messier objects at an apparent magnitude of 3.4. The galaxy appears to be more than six times wider than that of the full moon when photographed from the large telescope, but while viewing through the binoculars and smaller only the central region of the galaxy can be viewed with our naked eyes. Nearly around 964 a Persian astronomer Abd al- Rahman al-Sufi had written exciting lines about the chained constellation in his Book of Fixed Stars. This book describes the Andromeda Galaxy as a small cloud. A German Astronomer Simon Marius had given the first description about the object based on the telescopic observation in the year 1612. In the year 1764 Charles Messier catalogued it as M31 and incorrectly credited Marius as the discoverer, unacquainted of Al Sufi’s earlier work. The faint reddish hue in core region of M31 was noted by the astronomer William Herschel in the year 1785. During the time he believed that this is to be nearest of all great nebulae which is based on magnitude and the color of nebula, he also incorrectly guessed that it was no more than 2000 times the distance of the Sirius. In the year 1864 it is observed that the spectrum of M31 & also noted that it is differed from the gaseous nebula by William Huggins. Spectra of M31 displayed a continuum of frequencies, superimposed with the dark absorption lines which help to identify chemical composition of an object. The nebula of Andromeda was as similar as the spectra of the individual star & from that it was figure out that the M31 had stellar nature. The supernova called as S Andromedae was seen in the M31 in the year 1885, which was only one observed in that galaxy. During the time M31 was assumed to be the nearby object, therefore the cause was thought to be much less luminous and unrelated event known as Nova and was named accordingly Nova 1885. In the year 1887 Isaac Robert took the first photograph of M31from his personal observatory at Sussex, England. This was the first time for the spiral structure of galaxy to be seen. During the time the object was still considered as the nebula within our Galaxy. And the William Robert mistakenly believed that the M31 & the similar spiral nebulae were in fact solar systems being formed, with satellite nascent planet. In the year 1912, radial velocity of the object was measured by Vesto Slipher at Lowell Observatory by using the spectroscopy. This was measured with respect to solar system. And the output result was very largest velocity, at 300 km/sec moving in the directions of Sun.